After I had my first baby, I felt as if there was something missing from my birth experience and I struggled with breastfeeding. 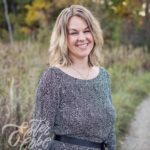 As I prepared for my second baby by taking a childbirth preparation course with my husband, I came to learn that there were things that I had been deprived of during my first birth simply because the maternal healthcare system deemed them unnecessary AND there were things that they did to me that interfered with the natural bonding process. I hoped to have a better experience with my second but found myself fighting battles to ensure that my preferences were honored. At that point, I realized that I would need to do much more to prepare for the birth I wanted with any future children. I empowered myself with knowledge about the evidence supporting my preferences and confidently gave birth to my third born surrounded by a supportive team in a setting I felt most comfortable. It was magical! Since then, I have become a certified childbirth educator and have helped many families prepare for the birth of their child(ren). I am extremely proud to offer the Evidence Based Birth® Childbirth Class knowing that it will give you a feeling of accomplishment and instill a sense of confidence as you approach your birthing time. I will skillfully mentor you and your partner in evidence based care, comfort measures and advocacy and support you every step of the way! Click below to register for a class near you. Sadly, I’ve spoken with many parents who have major regrets about how they went into birth without preparation—and the health consequences they suffered as a result. Q: Can’t I just educate myself online using search engines and videos? A: A lot of that info you find online? It’s bad or inaccurate! 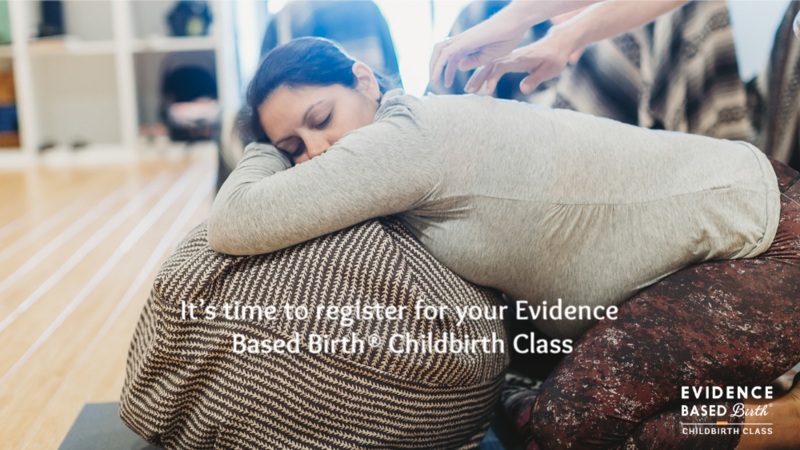 The benefit of the Evidence Based Birth® Childbirth Class is that we curate all of the best, evidence-based information and get you and your partner engaged in the learning process. Q: Shouldn’t I just let the doctors and nurses tell me what to do? A: Routine practices in some hospitals are still about 15 to 20 years behind the research, and there is a lot of pressure to conform to traditions that might not be in your best interests. We will teach you and your partner how to be your own advocate—a skill you can for the rest of your life! Q: My friends told me that taking a childbirth class is a waste of time. A: There are a lot of poor-quality classes out there that have given childbirth education a bad reputation. The founder of Evidence Based Birth®, Rebecca Dekker, PhD, RN, APRN, knows how to make classes exciting for young adults. The end result is a class that is motivating and SO much fun to participate in. You will learn more than you could ever imagine! Q: What will I actually learn in this class that could be of use to me? A: Our students are most excited to learn about the entire tool kit of comfort measures for labor. We cover pain management techniques like massage, water immersion, upright birthing positions, acupressure, music therapy, and deep breathing, just to name a few. When labor starts, you and your partner will be ready! Remember: There are only SIX SPOTS available in each class! First-time parents and experienced parents welcome!